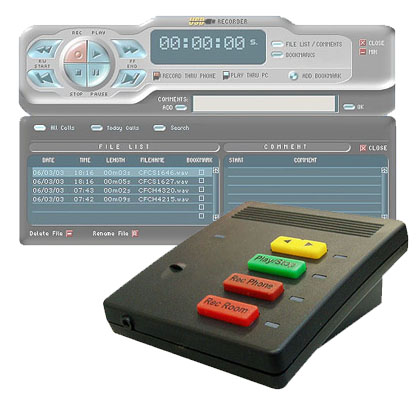 Record important telephone conversations word-for word directly onto your computer. Just install the software and plug the recorder into the USB port on your computer. You're set to record negotiations, agreements, sales transactions, and any other business you handle by phone. Small desktop footprint - only 3 x 2 x 1 in. - fits in the palm of your hand!